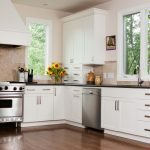 Thompson's Appliance Service is a second-generation, family-owned appliance repair company based in Arlington. We provide local homeowners with convenient customer service, speedy turnaround, and top-of-the-line workmanship. From refrigerator repairs to dryer repairs to oven repairs, we do it all. 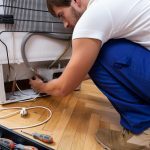 Schedule your service call today! We're proud to say our company has been in the Thompson family for two generations, passed down from father to son. Founded in 1971 and boasting a combined 75+ years of experience in the trade, we know virtually everything there is to know about household appliance repair. In other words, there's no appliance performance issue we haven't seen and fixed before. When you work with us, you can rest assured we'll complete your dryer repair, dishwasher repair, or refrigerator repair like the seasoned professionals we are. 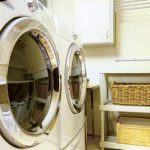 Whether you're located in Arlington, Fort Worth, Grand Prairie, Mansfield, Kennedale, or anywhere else nearby, you count on Thompson's Appliance Service for good, old-fashioned customer service and honest work. Limit one per transaction. No other discounts apply. Thompson's Appliance Service is your go-to team for appliance repairs in the Arlington area. A local, family-owned company, we're proud to offer some of the most satisfying appliance repair services in town. Whether you call us for washing machine repair, oven repair, fridge repair, or any other major household repair, you'll be treated to kind, one-on-one attention from our friendly team. We're also proud to offer convenient scheduling and a quick turnaround so you can have your home appliances back up and running ASAP! Give us a call to get started. At Thompson's Appliance Service, we don't just fall back on our decades of experience. Rather, we continue ongoing training and certification programs to deal with all the latest models and innovations. Our team of factory-trained and refrigerant-certified technicians is prepared to tackle all major appliance brands with precision and ease. Additionally, our appliance repair company is fully licensed and insured. We also boast an A+ rating from the Better Business Bureau (BBB) and an average A rating from customers on Angie's List. We even offer the following protections for your appliance repair services: a service call guarantee up to 60 days and a parts replacement guarantee up to 90 days. So, when you want effective, lasting handiwork, we're the appliance repair team you want on your side. Don't you hate it when you schedule a service call with a repairman and they keep you waiting all day for them to arrive? So do we. That's why we do things differently here at Thompson's Appliance Service. We personally reach out to each customer on the day of our service call to give you a precise two-hour window for when we'll arrive. This way, you're not wasting your whole day waiting for us to show up. On top of that, we carry a huge selection of common appliance parts in our van. This usually means we can complete your appliance repair right on the spot! And if we do have to order a specialty part from our supplier, it only takes 2-5 days to get it. No matter the situation, delivering a fast turnaround time is one of our highest priorities. Ready to schedule a service call with our skilled appliance repair technicians? Contact us today! Craig was in and out quickly, fixed issue with screeching dryer. Price was less than estimate, will use Thompson Appliance for any future appliance needs. I appreciated his efficiency, expertise, honesty, knowledge, and fair price. I highly recommend Thompson Appliance Repair; they have been in Arlington for many years and know what they're doing!! I will be sending my business this way from now on. Before I called Thompson's, I tried a few other local appliance repair shops and I felt rushed to get off the phone, estimates are about 10% higher and lucky if I got a clear answer.